How do I create a Volume in the D-Link DSN-1100 SAN? Step 1: Access the SAN by typing in the Management Port IP of the SAN into a web browser. Click on the Click Here link to run the xStack Storage now. Step 2: Log into the SAN. 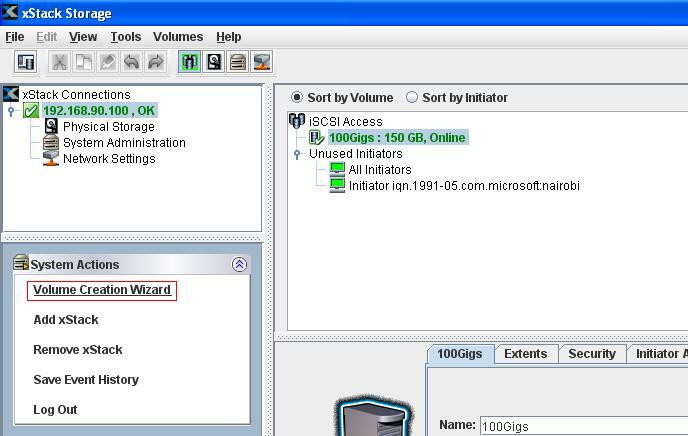 Step 3: Once you have logged in, click on the Volume Creation Wizard link located in the left window pane. 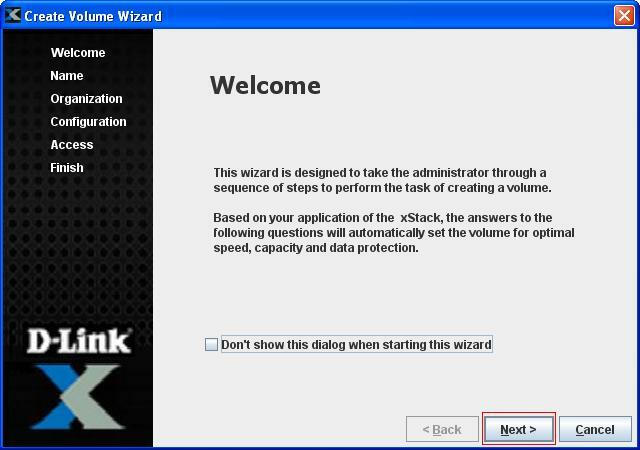 Step 4: The create Volume Wizard will pop open. Click on Next. Step 5: Create a Name for the volume. You will have the option to configure the volume to your specific needs. In this example we will select “Help me choose the best volume organization”. Step 7: If the Data is very Important we will select Very Important. Step 8: Click Next for Complete Copy. Step 9: Select No if you want to use the fewest drives possible. Step 10: Select the desired size of the volume and click Next. 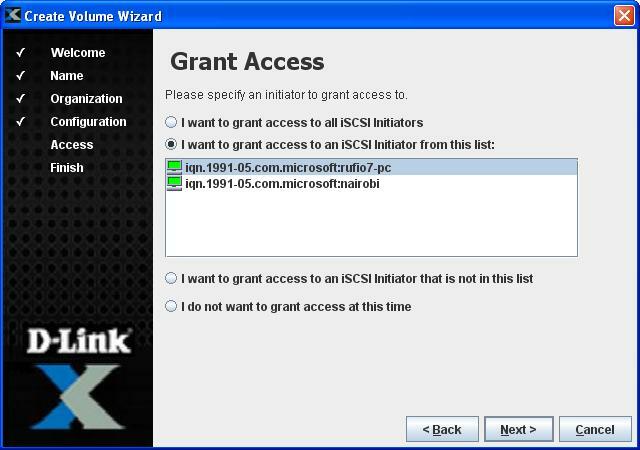 Step 11: If you have an Initiator currently active you can Specify and select a certain Initiator or Grant access to an Initiator not on the list, or even Grant access to ALL initiators. Click Next. Step 12: Click Finish and Close. How can I host an FTP server behind my D-Link router? I hear static when a PSTN call is established(DVG-3104MS).What settings can I change to fix that? How to disable SSID broadcast on D-Link DI-624? How do I create a Switch and Spoke VPN scenario with a DIR-130/330 as Spoke?